The bed was comfy, room was spacious enough, bathroom really tidy and clean. Locatia in general a fost ok,pat confortabi,in mare camera bine utilata.Adiministratorul locatiei foarte serviabil si prompt.In general am fost multumiti de locatie ,sigur vom reveni cand vom mai avea nevoie de cazare in Bucuresti. Foarte curat si confortabil. O experienta placuta! Lock in a great price for Lions Studio Dristor – rated 8.5 by recent guests! 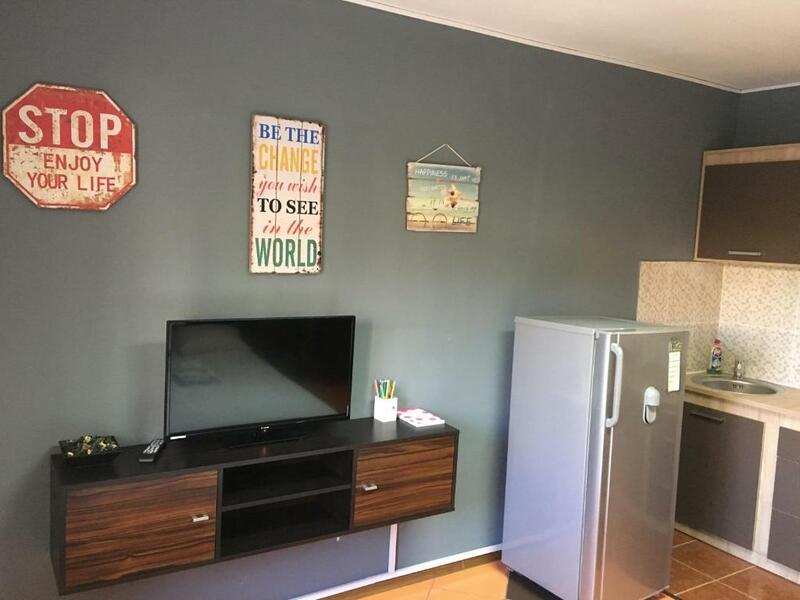 Lions Studio Dristor This rating is a reflection of how the property compares to the industry standard when it comes to price, facilities and services available. It's based on a self-evaluation by the property. Use this rating to help choose your stay! 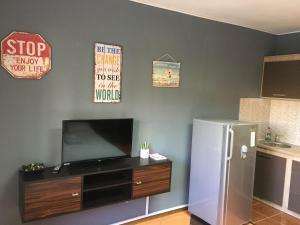 Lions Accommodations in Bucharest features self-catered studios located 1,000 feet from the M2 and M3 metro station of Dristor and within the same distance from the bus and tram lines. Free WiFi is offered. Each unit contains a double bed and a functional kitchenette. 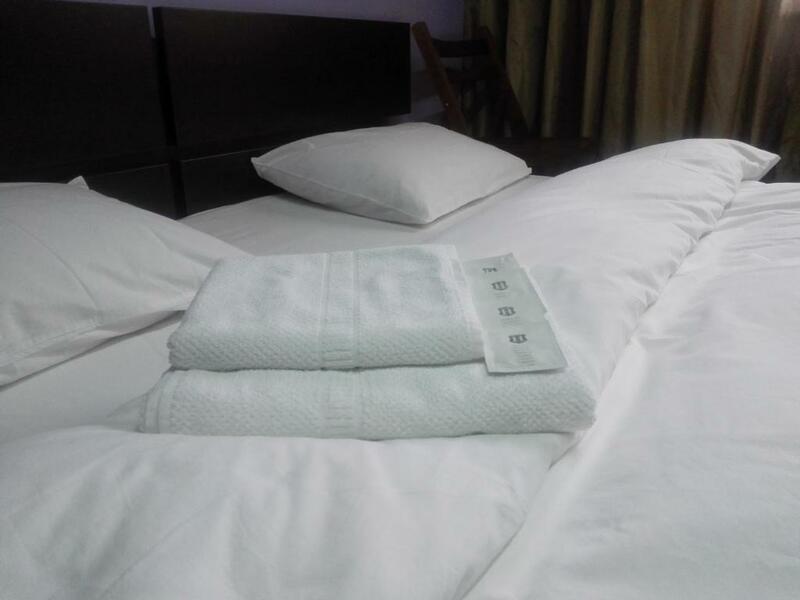 They are equipped with an LCD cable TV and a microwave, and the bathrooms come with a shower. A shuttle from the Airport (6.2 mi away) and from the main train station (3.1 mi away) is available at an additional cost. Guests staying 5 nights or more get the shuttle service for free. Public parking is possible at a location next to the Lions Accommodations. A restaurant and a grocery store are within 650 feet, and a supermarket is 350 feet away. The Old Town and the Parliament house are reachable in 1.9 mi, while the Bucharest Mall is 656 feet away. When would you like to stay at Lions Studio Dristor? This studio contains a double bed and a kitchenette. Facilities include free WiFi, an LCD cable TV and a microwave. The bathroom is fitted with a shower. House Rules Lions Studio Dristor takes special requests – add in the next step! Lions Studio Dristor accepts these cards and reserves the right to temporarily hold an amount prior to arrival. - The property has no reception. Please contact them in advance for check-in arrangements. - Late check-in after 20:00 is possible only upon prior confirmation by the property. - Contact details are stated in the booking confirmation. Was no iron, no washing machine, no A/C, no microwave, no cooker, shower very small.